TORONTO (AP) — There's one rookie slugger everyone wants to see at Blue Jays spring training this year, even though no one expects him to crack the opening day lineup. Still, it won't be long before Vladimir Guerrero Jr. and his booming bat become lineup fixtures for the rebuilding Blue Jays. A third baseman whose defensive skills lag behind his bat, Guerrero's big league arrival will likely wait a few weeks while the Blue Jays delay starting his service time long enough to guarantee a seventh season of club control before free agency. For now, Guerrero Jr. will only join his future teammates in spring exhibitions, giving everyone a glimpse of what's to come. Toronto's changes begin with rookie manager Charlie Montoyo, who left his job as Tampa Bay bench coach to replace John Gibbons. After dealing veterans J.A. Happ and Josh Donaldson last summer, the Blue Jays continued to shed high-priced stars this offseason. In December, Toronto released oft-injured shortstop Troy Tulowitzki, who had $38 million left on his contract. In January, the Jays traded catcher Russell Martin to the Dodgers, sending along more than $16 million of Martin's $20 million salary. New faces include workhorse infielder Freddy Galvis, right-handers Matt Shoemaker and David Phelps and left-hander Clayton Richard. With Martin gone, Toronto will make one of two rookies its primary catcher. Both Danny Jansen and Reese McGuire are 23 years old as camp opens. Each debuted last season, with Jansen arriving one month after playing in the All Star Futures game, and McGuire getting a brief cameo in September. Whoever doesn't win the starting job will likely go to Triple-A Buffalo. Veteran Luke Maile is Toronto's projected backup. Middle infield. Besides dumping Tulo, the Blue Jays lost two versatile infielders this offseason, trading Aledmys Diaz to Houston and parting ways with Yangervis Solarte. Even so, they're still well-stocked with infielders, having added the sure-handed Galvis to a group including prospect Lourdes Gurriel Jr., Devon Travis, Richard Urena, and Brandon Drury. Roles for these players remain unclear as camp begins, but the Blue Jays don't lack options. Starting pitching. Right-handers Aaron Sanchez and Marcus Stroman give Toronto two potential horses at the top of the rotation, but both are coming off unproductive, injury-marred seasons. Hopes are high for left-hander Ryan Borucki, who posted an impressive 3.87 ERA in 17 starts as a rookie, but there will likely be sophomore bumps. While Shoemaker and Richard provide veteran depth, the starting staff doesn't inspire confidence. 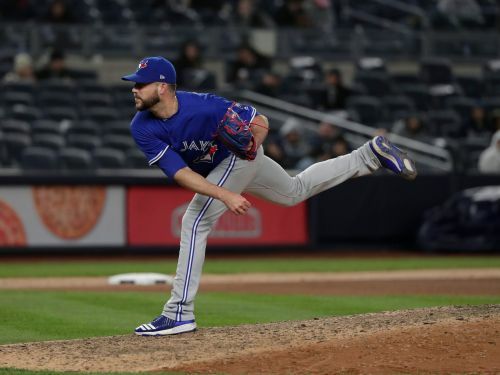 The Blue Jays will keep shopping for rotation and bullpen help throughout spring training, looking to add players on major and minor league deals. There's also the possibility Toronto trades from its position player surplus, or deals a veteran such as Stroman, in exchange for young arms. Toronto begins the regular season at home to Detroit on March 28.